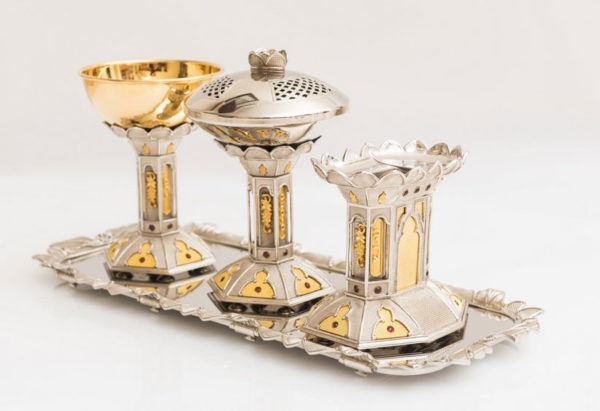 This contemporary set delights all senses. 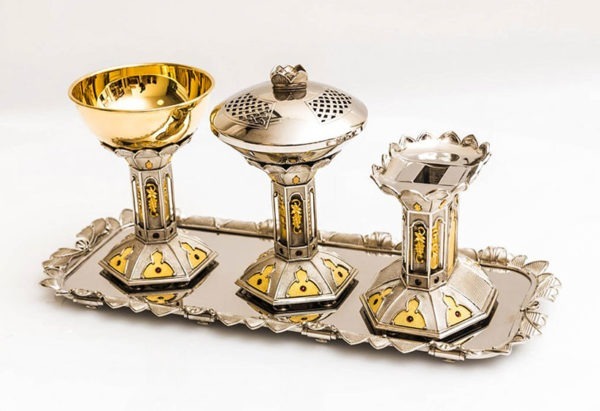 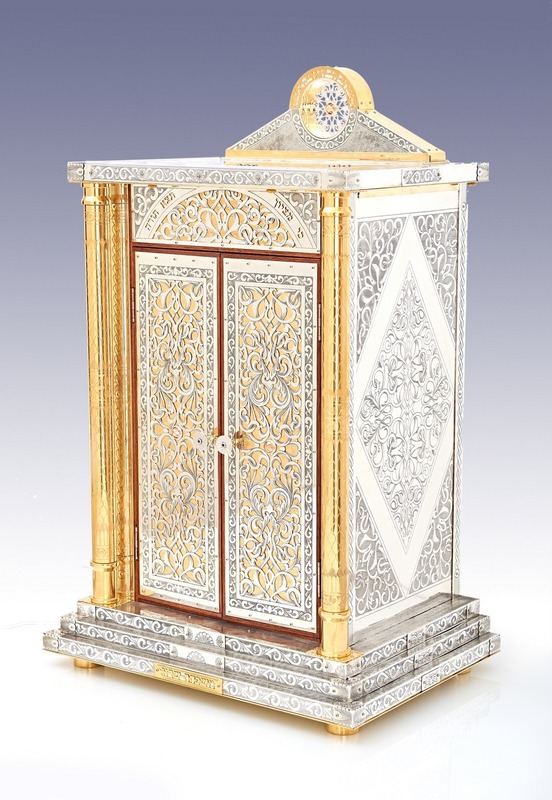 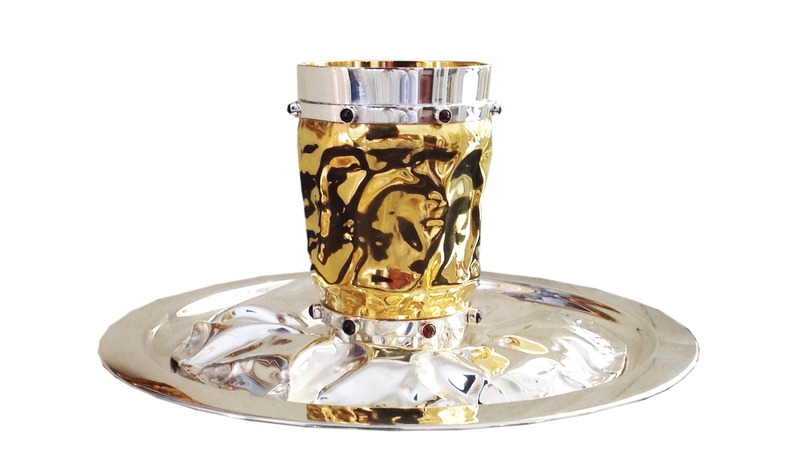 Silver, gold and rubies complement each other in this line-up of wine goblet, candlestick holder and spice box. A pure silver tray proudly supports this sleek beauty.